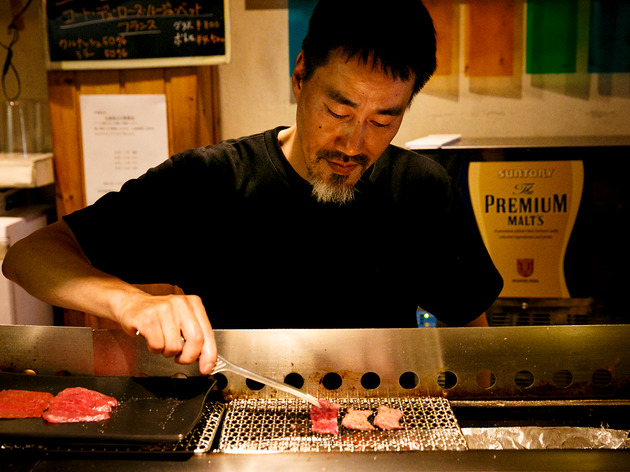 Eating yakiniku in Tokyo is like eating burgers in New York: there's an abundance of options. 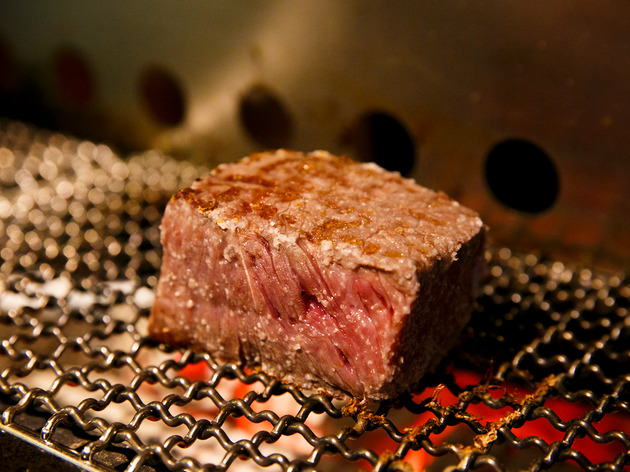 But what distinguishes one grill from the next? 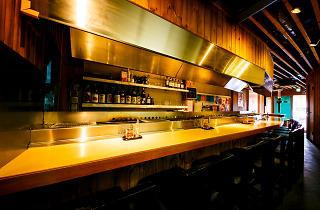 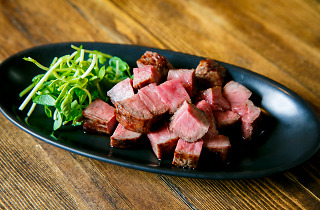 At Karubiano in Shinbashi it’s all about chef Takashima’s careful selection of Japanese beef. 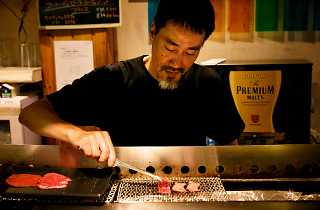 Sure, he sources wagyu just like everyone else, but prefers the lesser used parts, such as the shoulder and shin. 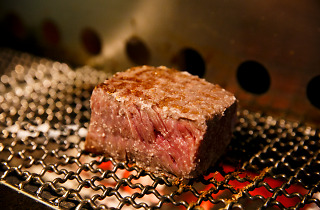 The thin strips are cooked over a charcoal grill at the ten-seat counter, browning in less than a minute. 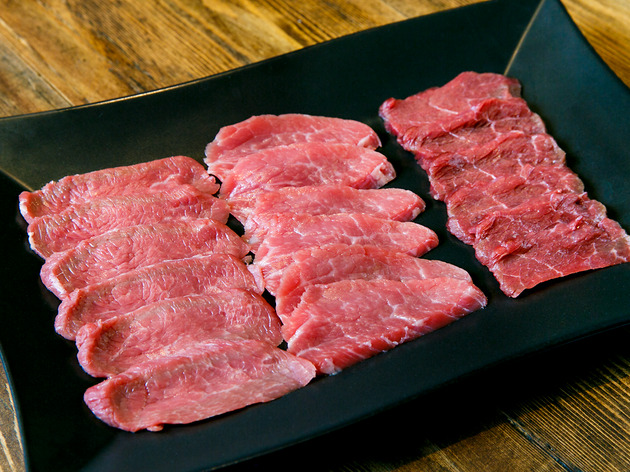 Juicy and perfectly seasoned with a delicate flavour, the meat melts in your mouth just as quickly as it's grilled in front of your eyes. 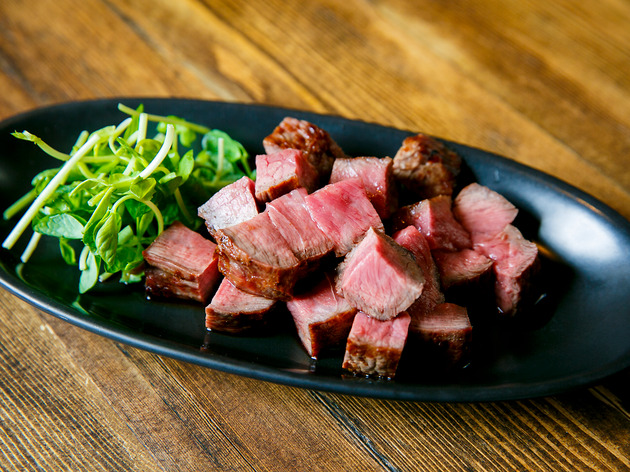 It's served with a trifecta of condiments – wasabi, black peppercorns and chili mustard – but is delicious simply on its own. 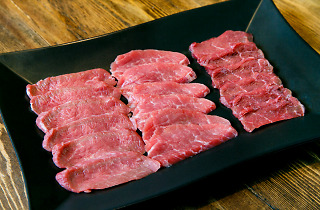 Takashima believes that as his preferred cuts are less fatty and lighter than your usual fare, you won't experience that familiar day-after yakiniku stomach fatigue. 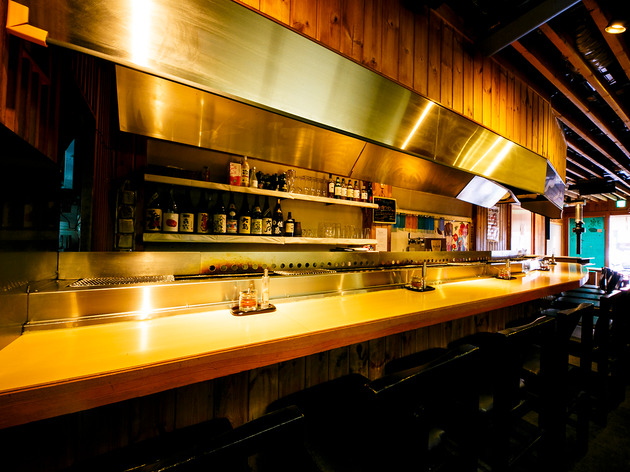 His eatery, open until 3am, is located in the heart of salaryman central, so it’s recommended to book ahead on Thursday and Friday nights.